It's hard to resist a love song that includes dogs and that's what we've got for today's Dog Song Saturday here at Talking Dogs. I Love My Old Bird Dog (and I Love You) is performed here by Crossin Dixon, a country rock group that hales from Mississippi. 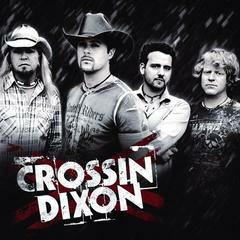 This song is from their Crossin Dixon album released in 2008 and available on iTunes, Amazon and other music outlets. Sit Stay. Relax and enjoy I Love My Old Bird Dog by Crossin Dixon. We've even included the lyrics so you can sing along. Then fetch some more genuine dog song music videos at Talking Dogs. You'll be surprised at how many we've collected over the past few years.